A wide range of activities for adults take place at Christ Church with St. Philip each week from social clubs and support groups to fitness classes and weight loss clubs. We also run a café in our Welcome Area – why not pop in for a cuppa and a chat? Where possible the products we use or sell in the café are Fair Trade. Below is a list of the church groups and organisations for adults that meet regularly in our church or halls. Anyone is welcome to attend these groups – you do not have to be a Christian or come to our Church. To find out more, click on the link for more information if there is one, or go to the table at the bottom of the page. 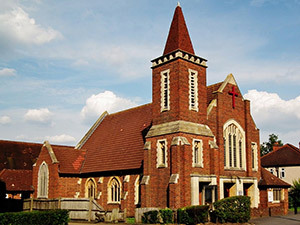 This provides an A-Z list of all the groups and organisations for adults that meet at Christ Church with St. Philip, including the day and time the activity runs plus a named contact. In addition to these church groups, a whole range of other organisations run regular activities in our halls. Again, these are listed alphabetically in the table below if you would like more information. After Eight Monthly group for women which offers a varied program of talks and activities 2nd Monday of the month, 8-10pm For more information, take a look at this group’s page on our website or contact Carol Salter on 020 8337 2452. Alcoholics Anonymous A fellowship of men and women who share their experience, strength and hope with each other that they may solve their common problem and help others to recover from alcoholism. If you think you have a problem with alcohol you are welcome to come along and just listen. Monday 12.00-1.30pm (including bank holidays), Tuesday 8.00-9.45pm Feel free to just turn up at one of the two groups or call 020 7833 0022 to arrange a one-to-one chat with a recovering alcoholic. Cheam Common Art Group Small friendly art group who welcome new members to draw and paint in any medium without tuition. Come along one evening to meet us and see whether this is for you. Monday 7.30-9.30pm For more information, contact 020 8330 0928. Cocaine Anonymous A fellowship of men and women who share their experience, strength and hope with each other so that they may solve their common problem and help others to recover from their addiction. The only requirement for membership is a desire to stop using cocaine and all other mind-altering substances. Sunday 6.45-8.45pm For more information, call 0800 612 0225. Get Fit Stay Fit Fitness class Wednesday 10.15-11.15am For more information, call Joanne Hamilton on 020 8786 3444. Over 60s Weekly club for people in the local community aged 60 and over Monday 1-3pm For more information, contact Joan Curl on 020 8330 6756. Pilates – Healthy Back Pilates Healthy Back Pilates class Thursday 13.45-2.45pm For more information, contact Jenny Hawke on 07809 149245 or visit the class website. Pilates – New Start Pilates Pilates class. Maximum of 12 in a class giving you the benefit of more personal attention. Private lessons available. Thursday 10.45am For more information, call Linda on 07720 598228 or email info@newstartpilates.co.uk or visit the class website. Pilates – S V Pilates Pilates class. Saturday 9.00-11.30am, BUT NOT MEETING CURRENTLY – will resume in January 2015. FROM JANUARY 2015: For more information, contact Sarah Vrancken on 07891 828787 or visit the class website. Slimming World Weight loss club Tuesday 9.30-11am Feel free to just come along to a meeting or contact Justine on 020 8942 6117. Stephanie Florence Academy of Dance Dance classes in tap and ballet for age 14 to adult Friday 7-9pm For more information, contact Stephanie Mavrommatis on 020 8641 5160 or visit their website. Townswomen’s Guild Local meeting of the Townswomen’s Guild 2nd Wednesday of the month, 2-4pm For more information, contact Julia Matthews on 020 8337 2160. Worcester Park Hello Club Weekly coffee mornings in the Welcome Cafe. Come along for a chat, to make new friends, to take part in activities, or to get information or advice. Click here for more information. Thursday 10.00am – 12 noon Feel free to just come along, or to find out more then contact either the church’s Centre Manager, Scill or Sutton Vision (click here for contact details).